I can’t be the only one who has bought a book, thinking it would look super swell in their future home, am I? It’s true I now have a few books, and magazines, just laying around for a use they might not get! 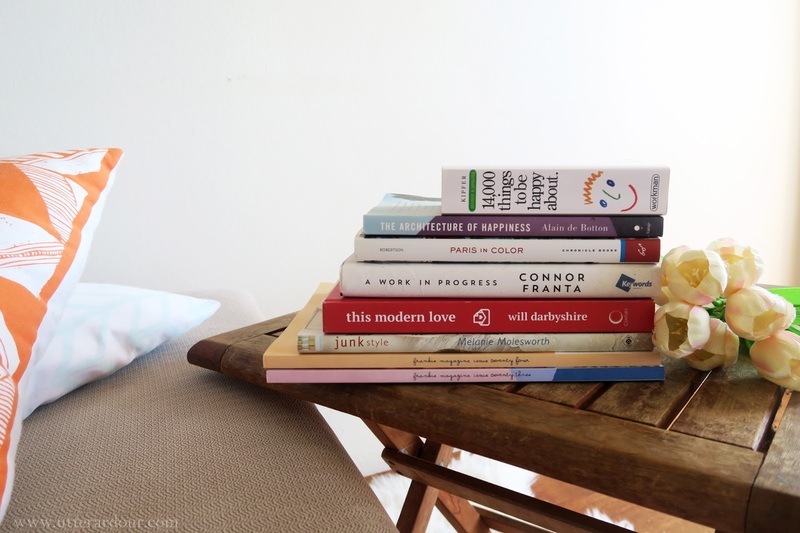 Yes, that’s right, I have bought books with the sole intention that I will one day (hopefully) get my dream home and have them laying perfectly on my coffee table for guests to read. I know it’s bad to buy a book by it’s cover but a lot of these may be in my possession due to how they caught my eye. Each does have it’s own reasoning behind it, yes these reasons may have appeared when I convinced myself to buy them for the silliest of reasons; but they all deserve the love. 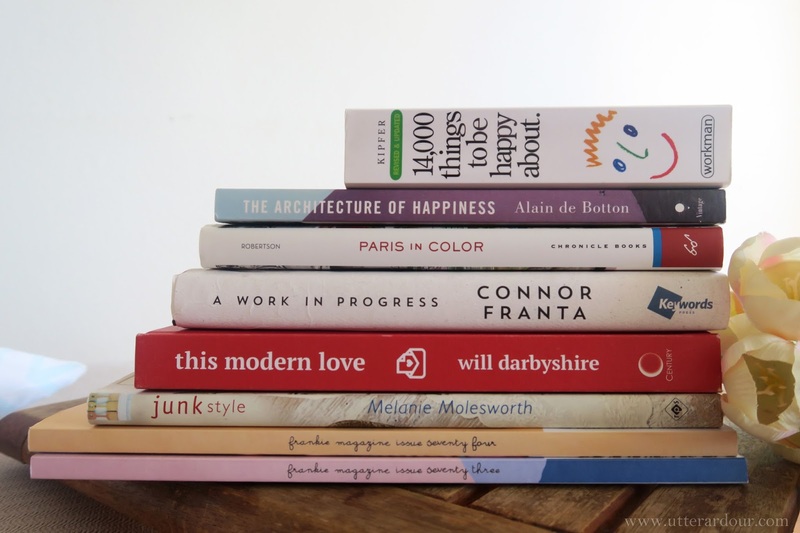 Due to me wanting everything to be grouped and to have its place I’ve separated these books into different categories (I’m 23 going on 40 people), these are; Flip through, aesthetically pleasing and bio’s. These are those books you leave anywhere in the house to have a quick look over a hot drink and a chat with friends. Frankie Magazine: This is an Australian run magazine with the most pleasing to look at covers. They cover a whole range of creative articles and awesome companies whose products I want to get my hands all over. Part of me wants to create a piece of art that will get on the cover one day. Oh, the dreams of a nobody. 14000 things to be happy about: One of my favourite books I own. 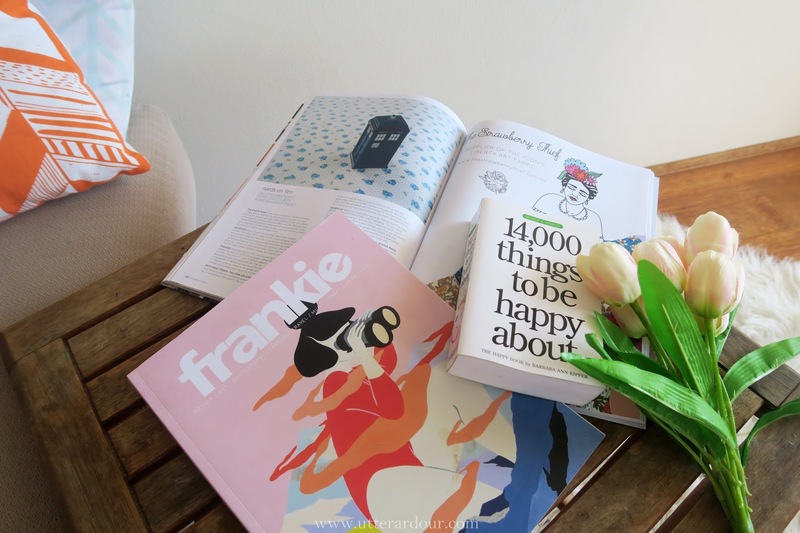 Every time I see it in the corner of my eye or I need a little pick me up, I flip to a random page and get to read a list of pleasing happy filled items. These are the ones that need more time and effort, the ones that inspire you and keep you turning pages. Paris in color: I received after my Paris themed birthday a couple years ago. Its photographs of Paris in the colours of the rainbow. It gives me excitement to be there myself one day and try and capture my own view of Paris. 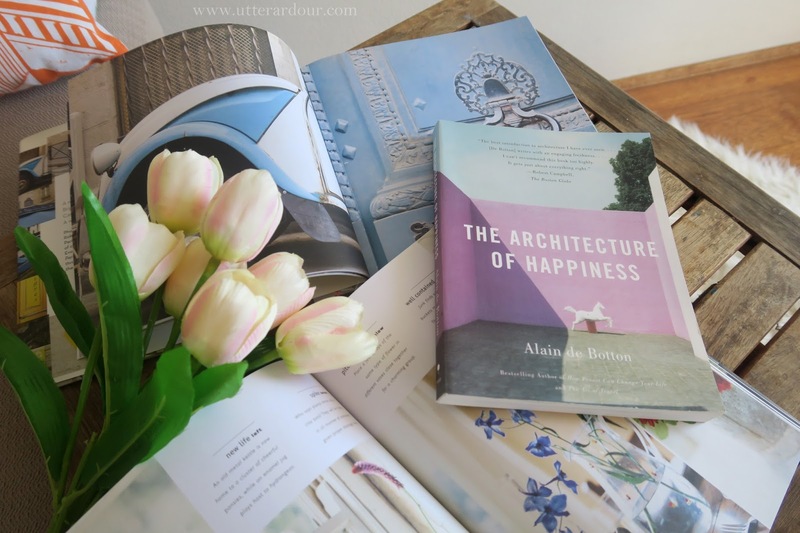 The architecture of happiness: This one is a funny one, I have a list of movies I can watch on repeat. One of them being ‘500 Days of Summer’ in which this book appears. It isn’t even part of the major plot line but golly gosh was I gonna get my hands on the book in that movie. I’d love to get into architecture anyway so this is a great start. Junk Stye: I LOVE vintage and mix-match style. Quirky and random screams my name so when I saw this book I bought it instantly. It is filled with information and styled photographs that make me want this dream home a lot sooner than I can. You all know how much I now love reading about other people’s lives. These are great for getting cozy and putting in guest rooms for stay over’s. 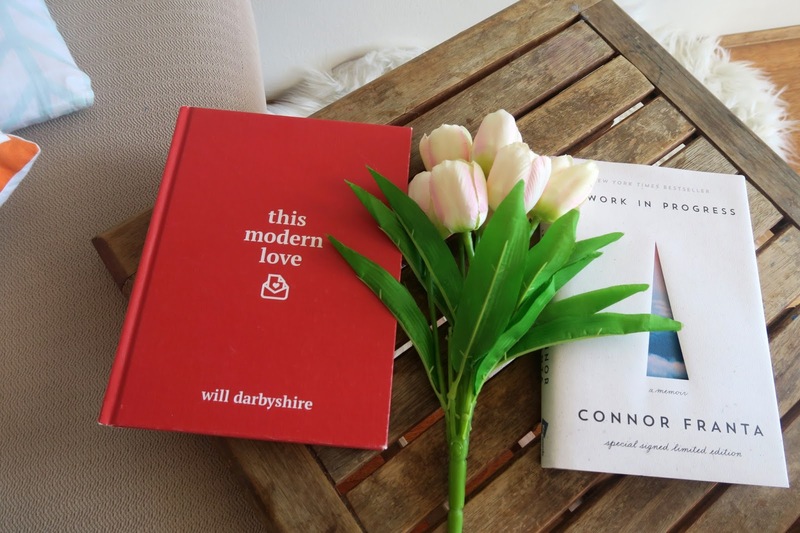 This Modern Love: Will’s whole public life is aesthetically pleasing to me (and with Arden as well, once her book comes out I’m sure it’ll join the ranks) so this is a must to leave out in the open for people to marvel at. Plus an easy page turner sharing truth and similarities of strangers. A work in progress: Connor is also an aesthetic genius. I love his instagram so when I saw this signed copy in a city book store it was mine for the taking! There’s my picks of coffee table books, I see more everyday but alas they will have to wait until I finish traveling to get my hands on them. I feel like these types of books, the ones you pick up on a whim just to browse through, can become some of the most comforting. 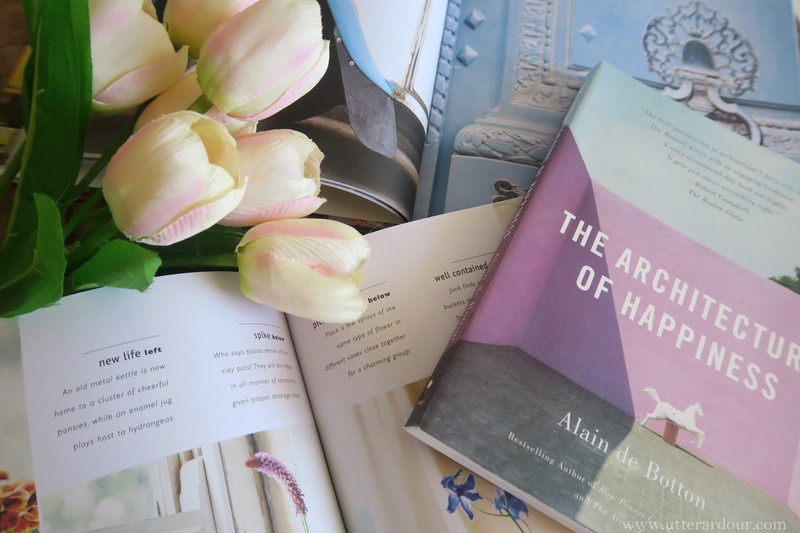 There is no pressure to finish them but to just flip to a page and enjoy. I love that pure enjoyment. 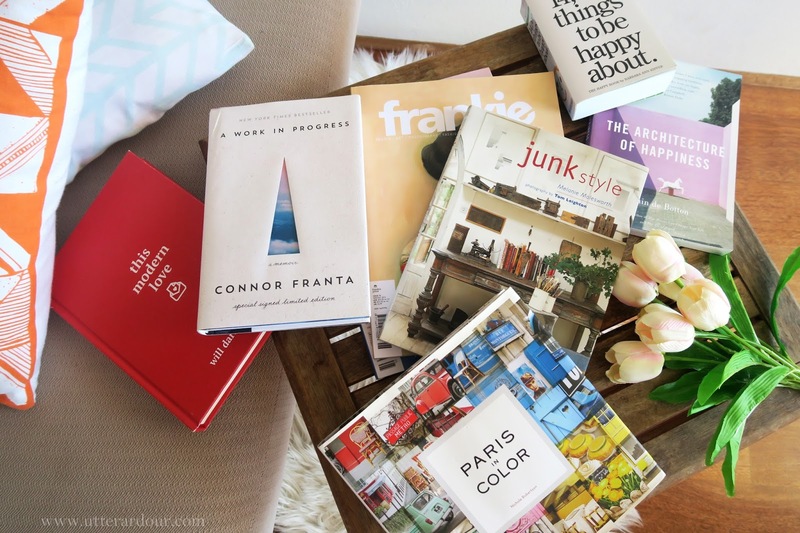 What would be books that you would place on your coffee table? Let me know!